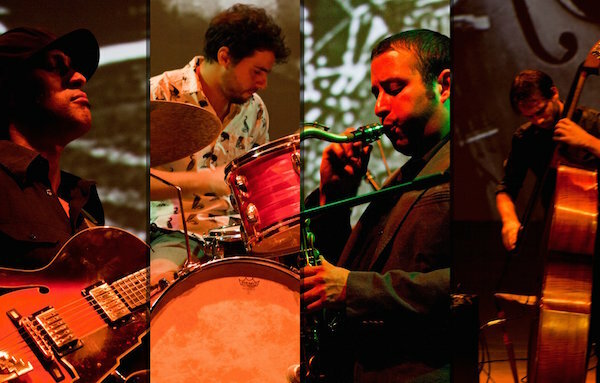 Byron Sánchez Quartet is conceived from the idea of creating a sonority looking for a unique sound with the initiative, creation, composition and leadership of Byron Sánchez. Colombian Folk music is the basis of this project, without the explicit use of it in his compositions, achieving a unique and original sound. This is possible because the music is brought to life by each member of the band. The quartet already has two albums, “Expression” (2011), and “Between Lines” (2014), with the distinction that the last album was recorded live without cuts or any further editing. Byron Sánchez Quartet is currently preparing their new album that is to be released in 2015. Byron Sánchez Quartet at Terraza 7 on Friday October 2th, 2015 at 8:00 pm. No Replies to "BYRON SÁNCHEZ QUARTET"